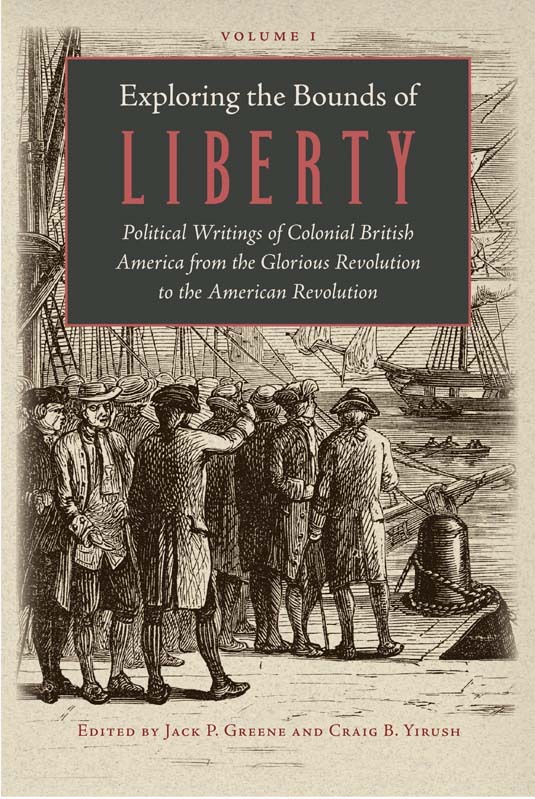 Exploring the Bounds of Liberty presents a rich and extensive selection of the political literature produced in and about colonial British America during the century before the American Revolution. Most colonial political pamphlets and broadsides were printed in London, but even in the mid-seventeenth century some writings were published in New England, which then had the only printing presses in British America. With the expansion of printing to most of the colonies during the last decade of the seventeenth and the first three decades of the eighteenth century, however, the number of political polemical publications increased exponentially throughout colonial British America, from Barbados to Nova Scotia. The number of publications dealing with political questions increased in every decade after 1710, to become a veritable flood by the 1750s. Exploring the Bounds of Liberty is an ideal introduction to the rich, hitherto only lightly examined literature produced in and about the British colonies between 1680 and 1770. It provides easy access to key but little-discussed political writings, illuminating important political debates in the early-modern British empire and giving crucial context for much better-known tracts of the American Revolution. The selections are presented in chronological sequence, from the earliest, William Penn’s “The Excellent Priviledge of Liberty and Property” (1687), to the latest, an anonymous 1774 protest against taxes arbitrarily imposed by royal officials without local consent or parliamentary authority, but simply in the king’s name. Each of the selections is preceded by a short, substantive introductory essay that clarifies the context and content of the sources. As the editors write in their introduction, these writings speak directly to such themes in the history of liberty as the nature and source of corporate and individual rights, the importance of due process and the rule of law for the preservation of those rights, the centrality of private property and local autonomy in a free polity, and the ability of people to pursue their domestic happiness. Jack P. Greene is Andrew W. Mellon Professor in the Humanities, Emeritus, Johns Hopkins University, where he was a member of the Department of History for thirty-nine years. He has published widely on colonial British America and the American Revolution, most recently Exclusionary Empire: English Liberty Overseas, 1600–1900 (2010); Constitutional Origins of the American Revolution (2011); Celebrating Empire and Confronting Colonialism in Eighteenth-Century Britain (2013); Creating the British Atlantic: Essays on Transplantation, Adaptation, and Continuity (2011); and Settler Jamaica: A Social Portrait of the 1750s (2016). Craig B. Yirush is an Associate Professor of History at UCLA. Educated at the University of British Columbia, Cambridge University, and the Johns Hopkins University, he teaches and writes about the intellectual history of the seventeenth- and eighteenth-century British world. He is the author of Settlers, Liberty, and Empire: The Roots of American Political Theory, 1675–1775. Introduction, editors' note, translator's note, headnotes, index.